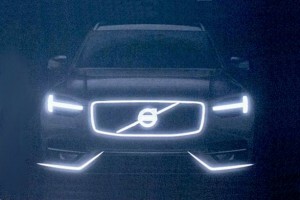 Volvo has teased the next generation XC90, its large 4×4 offering, ahead of the vehicle’s planned launch next year. 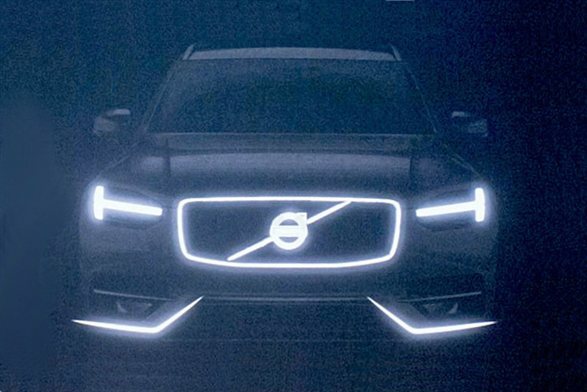 After stumbling across a site called BuyYourVolvo this morning I came across an article on Thomas Ingenlath, Volvo’s new head of design, who has revealed the new model during an official Volvo presentation. As can be seen from the image, the car sports the same front-end design styling which has been adopted across the Volvo range and which was previewed last week through Volvo’s Concept Coupe. It also gets the same T-shaped daytime-running lights and a large badge on the grill. The new XC90 will be on offer with a range of 2.0-litre petrol and diesel engines, which will both be available with either a 6-speed manual or an 8-speed automatic transmission. No immediate plans have been made to put the car into production, but considering the current Volvo XC90 has seen very few changes since it was first produced over 10 years ago, an update seems long overdue. It is currently on sale from £38,865, with range-topping models costing in excess of £45,000. Used XC90 models can cost a fraction of this price however, even vehicles which are only a few years old. Listings can be found online at CarVillage.co.uk and CarDealerLocator.co.uk.